Mattifies and visually refines the skin by minimizing imperfections. ​Luxurious extra fine texture that counters shine, fixes your foundation and give even oily skins a flawless, matt finish. Leaves your skin feeling beutifully soft and silky. Gives lasting wear. ​Its success lies in its formula, its texture, in its grip, in its delicious perfume. ​​Comes with a powder puff. Lightly dust over your face using the puff provided, focusing on the T-zone and underneath the eyes to reduce shine. Morisco and Trigueño tones can also can be used as a bronzer. Its make-up is inspired by the magic of exotic and evolving until today with the latest trends. Its perfume extract has floral notes of jasmine, ylang ylang and bergamot, layered on spicy notes of cinnamon and nutmeg, over a base of sandalwood, cedar, amber and sycamore. ​Its incredibly silky texture due to natural extract of talc rice power make them beautifully soft, absorbetn and pampering to the touch. 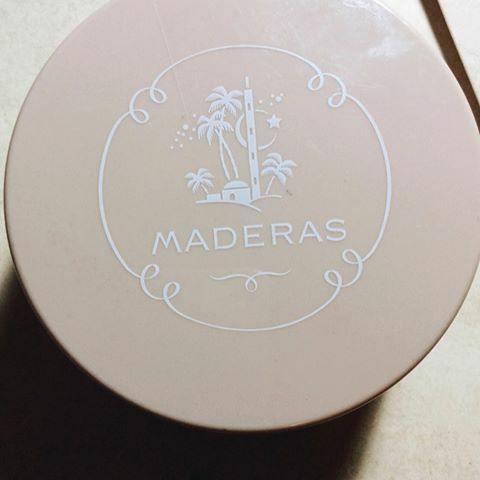 The secret of Maderas make-up range is that uses formulas based on natural ingredients.